iPhone vs. Kindle: Who Won? As readers of this blog know, I’ve been pretty outspoken in my feelings about the Kindle vs. iPhone debate in the past, going so far as saying: the future of reading is the iPhone, NOT the Kindle. My 2nd post on this topic written more than half a year later, gathered an evolved consensus on where that comparison between the iPhone and Kindle stood. And, it’s official now – the iPhone (despite being a music/browser/phone/app platform) has bested the Amazon’s Kindle at it’s own game – in sheer # of readers! Stanza, a book reading app on the iPhone, is close to ~400K downloads at a current rate of ~5K downloads per day, while the Kindle is estimated to sell ~380K devices this year. And, let’s not get started on the # of iPhones sold as of date and the passionate following they have acquired. 2. Book Selection: Definitely the Kindle. It’s Amazon and they have the greatest selection of books on the planet. 3. Reading experience: I love reading on my iPhone. 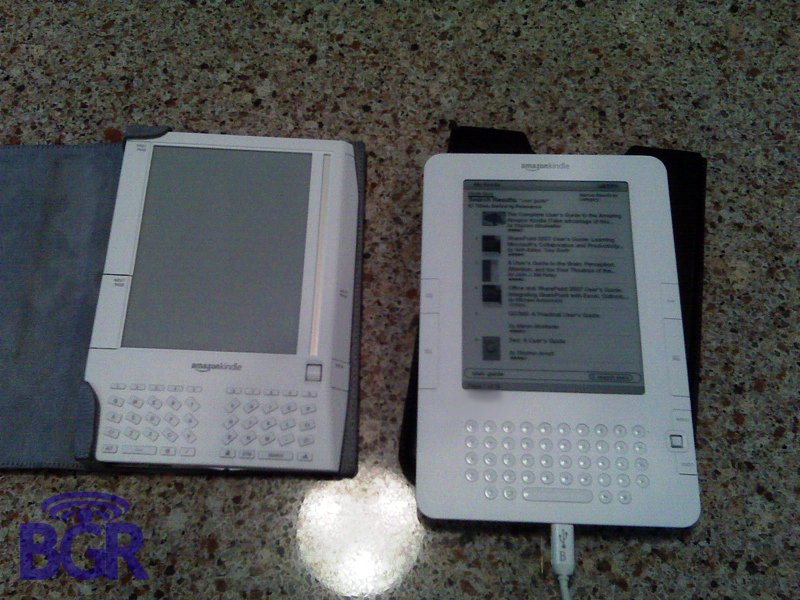 I’ve spent hours reading my Google Reader feeds, but Kindle is rumored to be easier on the eyes, thanks to E-Ink. 4. Battery Life: My biggest pet peeve with the iPhone is the battery life (particularly since it’s an essential utility in my life). It lasts for a day. The Kindle’s battery lasts for four days. 5. Connectivity: Again, the iPhone works flawlessly with Wi-Fi (spotty 3G networks hamper the 3G experience), and I’ve just the right apps to make even my Edge experience bearable. The Kindle: EV-DO. But the iPhone definitely has the potential to become a huge hit among average book readers (going by the numbers) and I presume there are many like me – “1 book a month” readers. So, if Jobs can recreate the iTunes ecosystem for books, I’ll pay for the books. And, so will millions of other satisfied iPhone users. Are you an iPhone or a Kindle? Or do you prefer reading books the old-fashioned way? I prefer reading things the old fashioned way, I just feel that taking a book to bed is a nicer experience than a Kindle …. its also easier on my eyes. Rumored? Use a Kindle for 30 minutes and you’ll never want to read on the iPhone again. The iPhone and the Kindle have a few overlapping features, but for actually reading more than a few blog articles, the Kindle experience is so much better I’m not sure I’d bother even making a comparison. I love my iPhone too, and read things on it all the time. It’s not the same. I used stanza on a biz trip for the 1st time yesterday. Great except that I can’t use it during taxi and landing which was torture. I like the kindles screen more for reading for longer periods of time. Ideally, amazon would offer a kindle iPhone app so that I have both breadth of content and convenience of carrying around just one device. Well, Jack, I’ll take your word for it. I haven’t tested it out yet. Frankly, I haven’t read an entire book on Stanza yet. I love the idea of an Amazon app on the iPhone, but I don’t see that happening any time. Neither. Ditto the above post. I’ve read on the Kindle and while it’s nice to read on, I didn’t feel it was that much better and certainly not in the dark. With the iphone’s ability to invert the black to white, I can read in the dark without disturbing my wife. I have a bunch of great books from ereader.com. Plus I have my calendar, music, movies, news, internet, email, bible, calculator, dictionary, electronic wallet, instant messenger, and so much more in my pocket. I certainly don’t want to spend $360 on a not so attractive that can’t fit in my pocket, doesn’t have a backlight, or even a fraction of the features. There definitely isn’t an “Amazon” app for the iPhone. In fact, Amazon is (apparently) preventing Mobipocket, whom they own, from releasing an official Mobipocket client for the iPhone—meaning people with DRM-crippled Mobipocket format books have to crack the DRM if they want to read them on the Mobi-compatible readers on the iPhone. That’s interesting. I’d love to read books bought via Amazon on the iPhone, alas, that’s unlikely. The Kindle seems silly to buy when the iPhone is so much smaller. With the iPhone, you literally CAN take thousands of book anywhere, because you can fit it in your pocket. With the Kindle, you have to hold the dang thing in your hand everywhere you go. Agreed. But, if you’re into reading books there’s no substitute for a Kindle (as much as I love the iPhone). I just bought the Kindle and it rocks too!